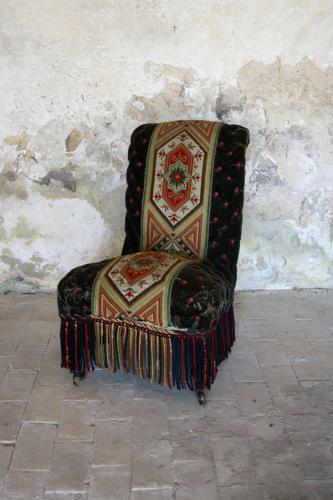 19th century French needlepoint and velvet slipper chair. Buttoned on back and seat. On castors (front legs only).